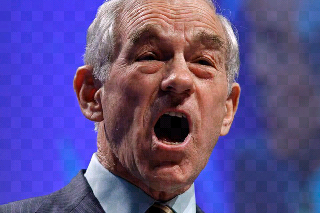 With the Iowa caucuses one week away, Ron Paul is standing his ground in Iowa, according to a Public Policy Poll released on Wednesday. Paul leads the field with 24 percent, but Mitt Romney is a close second at 20 percent. … But according to PPP, Paul has to be considered the frontrunner in Iowa. He leads the field with the most “strongly committed” candidates, which will be an asset in Iowa’s caucus-style election, and some believe the caucuses will turn out a large number of young voters this year, with whom Paul has a 35 percent to 11 percent advantage over Romney. No mention of Paul’s ability to buy votes from his lunatic followers. Previous post Was the Santa Claus Massacre an Islamic Honor Killing?